The Australian Research Council Training Centre for Biopharmaceutical Innovation (CBI) was one of 20 successful applicants for the 2017 MTPConnect Project Fund Program. MTPConnect – the Medical Technologies and Pharmaceuticals Industry Growth Centre – today announced it will provide a proposed $110,000 provisional funding to CBI’s National Biologics Training Program (NBTP) over two years, with proposed matched funding of $110,000 coming from the sector. 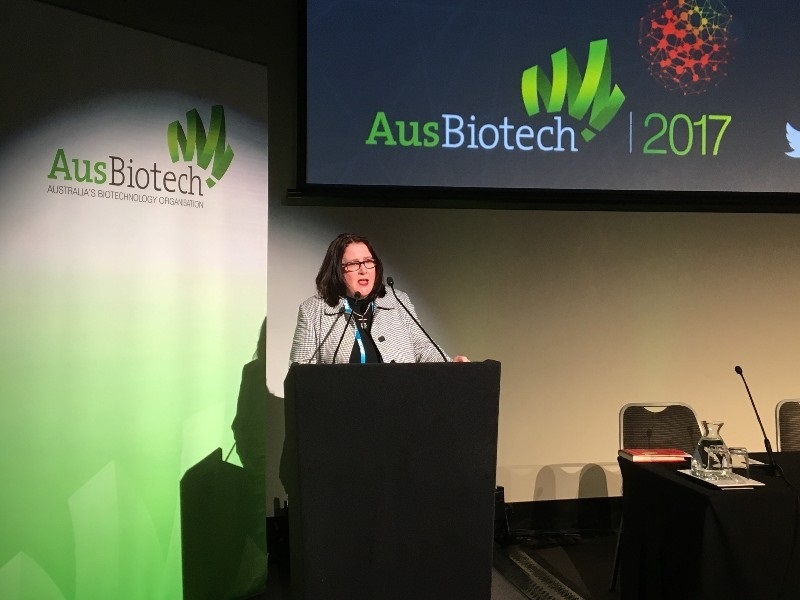 The funding will allow the NBTP to develop a high-level Biologics training program for the MTP sector in Australia aimed at upskilling the workforce to enhance productivity of SMEs in the sector and increasing its global competitiveness. The NBTP project is led by CBI and includes members from the Australian Institute for Bioengineering and Nanotechnology (AIBN), CSL Ltd, Australian Red Cross Blood Service, Patheon Biologics (part of Themofisher), AbbVie, ACYTE Biotech, Avipep and LuinaBio. The NBTP seeks to design and create training programs for industry specifically associated with the advanced manufacturing of biologic medicines and more broadly for industry associated with biomedical sciences. The training program fills a gap in the required knowledge and skills base necessary for advancement of Australian industry. An opportunity exists to benefit the MTP sector, developing relevant training programs for Australia’s biologics and associated biomedical sciences industry. As the proportion of revenue generated by ‘big pharma’ diminishes for conventional pharmaceuticals and increases for biologics, it becomes increasingly important that industry stakeholders stay informed in the relevant aspects of biologics research, development and marketing. For this reason, there are niche opportunities to provide training to new and existing stakeholders in the growing MTP sector. CBI Director and AIBN Senior Group Leader Professor Stephen Mahler said that the funding received from MTPConnect and industry partners will allow the development of a training program that will be of great benefit to employees and other stakeholders the industry. “The production of recombinant-DNA derived therapeutics and other biologic medicines is an advanced manufacturing capability and draws on several scientific disciplines,” said Professor Mahler. MTPConnect’s Project Fund Program is a competitive, dollar-for-dollar matched funding program investing in big, bold ideas to improve the productivity, competitiveness and innovative capacity of Australia’s medical technology, biotechnology and pharmaceutical sector. MTPConnect is supported by the Australian Government’s Industry Growth Centres Initiative. This year, MTPConnect has selected 20 national MTP projects to receive $7.385 million in funding over two years with proposed matched funding of $15.2million coming from the sector. Last year, the launch of the program saw 14 projects receive $7.4 million in funding over two years, with matched funding of c.$32 million. Following the success of these projects, this year’s program received significant interest from the sector, with 33 applications from industry, research organisations and universities to share in the funding available, with a proposed $25.8 million of matched funding coming from the sector. MTPConnect was formed as an industry-led independent not-for-profit organisation in November 2015 as part of the federal government’s Industry Growth Centres Initiative to accelerate the rate of growth of the MTP sector to achieve greater commercialisation and establish Australia as an Asia-Pacific hub for MTP companies.